If you would like to get more free Facebook likes, you will find some recommendations on this page. We will try to provide those information for you as much as we can. There are some tricks to increase your Facebook likes and you don’t need to pay for this. You can find the information all steps related to get more Facebook likes free below. If you have any questions please let us know. Write articles which are related with your Facebook page. Understand your target audience well. Use Addmefast or other free services. 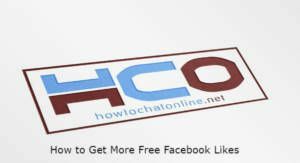 Provide live chat support on your page. Response comments in your page. Article writing is one of the most important tools for you on Facebook. You can do it freely on your page. However your content must be unique and your content should be relevant with your page. Otherwise people will not be interested with a page which publishes random posts. Sharing pictures on your page will help you to get more likes for your posts and for your page. If you share unique pictures and if you can get attention of people with those pictures, you can get serious amount of likes. Sometimes pictures can be more effective than articles. Understanding your target audience is one of the most important steps for getting more likes. You should know that where you will get likes mostly (USA? or Canada? ), you should know that which gender or age will be impressed of your page… So you will able to make your shares related with those location, gender groups. Using addmefast is another way to increase your likes. However it is a trick and it won’t be original likes anytime. This is one of the ways to increase your likes for your page or post. You can enable live support of Facebook to answer your target audience instantly. Generally pages which are providing this service are getting more likes. Care for your customers or users… That will be the best for you. If you response comments of your users on your page, you will get attention of them and you will get more likes for your comments, pages, pictures and articles. This is how you can get more free Facebook likes. You can let us know if you have any questions.